Central Ohioans Against Terrorism: Greetings visitors from HAMASistan! UPDATE #1. The plot thickens, as we’re starting to get more hits from that neck of the woods (paltel.net). Someone over there must have noticed! UPDATE #2. As of 2:55am today (12/16), we are getting hits from the HAMAS university to this post now! 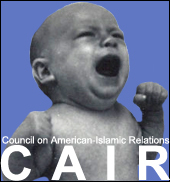 Welcome Islamic terrorists and friends of CAIR-OH! They no doubt were informed by some of our local HAMAS enthusiasts of my post on Thursday observing that their local patron, the Dublin, OH-based Arab Student Aid International, may finally receive some scrutiny of the millions of dollars they have funneled to the HAMAS institution over the past decade and the HAMAS leaders that they have supported in the past (as noted by the Washington Post). They were certainly aware of the post, because as the graphic below showing the visitor “drill-down” shows, it was that post in particular that they were visiting. It seems they spent a while here as well (nearly 5 hours).